Take a seat - literally! With a cut-out handle in the backrest, the Lamar Dining Chair is convenient and comfortable alike. 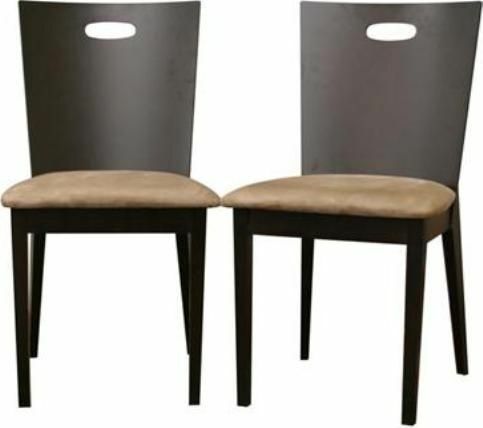 Each chair is made of a wood frame with rich dark brown wenge veneer and features a foam cushion with tan microfiber upholstery.